While I had poor germination with these seeds. probably because they were not cold-stratified, the one which did germinate in March is a winner now at the beginning of August. 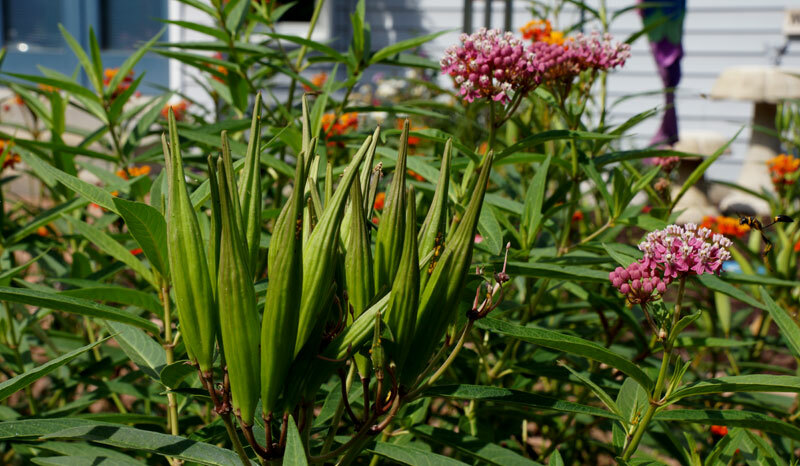 Most of my regular Asclepias incarnata looks terrible – almost as if it is dying and I don’t know the reason. Most people I know don’t have good luck with this so-called perennial in St. Louis. This particular variety looks spectacular the first year and I’m amazed that it’s blooming this first year. I’ll definitely keep these seeds for planting this fall.